A lack of adequate electricity supply in recent years has had a negative impact on the South African economy. Power shortages have hindered economic growth and negatively affected business confidence. Generation capacity issues were at the heart of the electricity supply woes, but a strong operational turnaround by the country’s main supplier, Eskom, has improved prospects. State-owned power utility has progressed from implementing regular load-shedding as recently as mid-2015, to an average electricity surplus of about 5 600 MW at peak by the end of 2016. 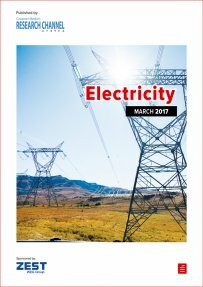 Creamer Media’s Electricity 2017 Report examines Eskom’s turnaround, providing an overview of its generation developments, capacity expansion and financial status; the role of independent power producers; electricity planning, distribution and electrification, among other topics. Published on 15 March 2017.